Helen Rambles On: The Body Shop African Honey & Beeswax Hand and Foot Balm - Reviewed! 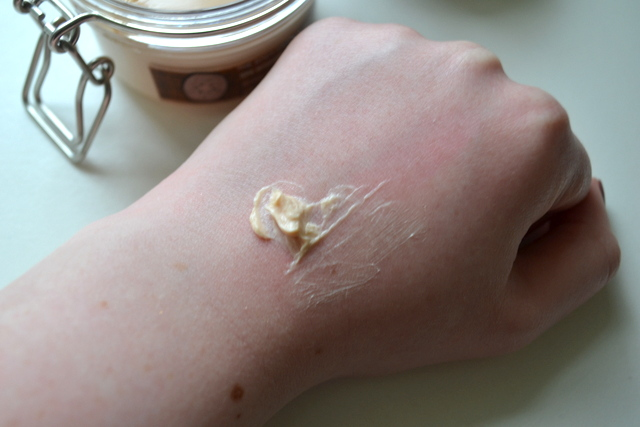 The Body Shop African Honey & Beeswax Hand and Foot Balm - Reviewed! The Body Shop have become a firm favourite of mine when it comes to foot care product. I normally stick with the products from the Peppermint range however when they had 40% off online recently I wanted to stock up but my usual favourite was out of stock I chose to get this instead and I have to say it is pretty darn awesome. First off the packaging is lovely, it comes in this plastic Kilner style jar which when the product would be perfect for storing small items. 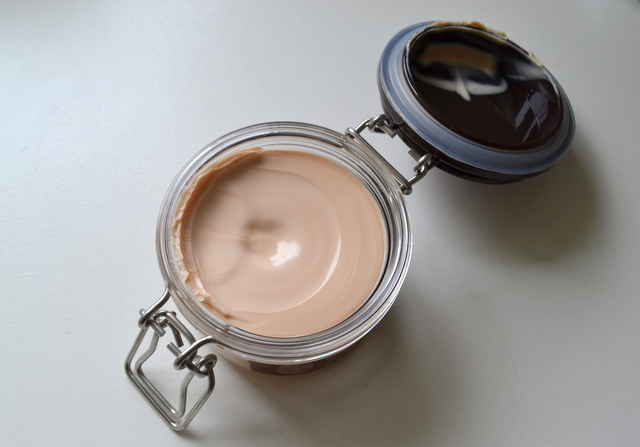 The product itself feels like a thick lotion or balm and as soon as you open the jar you can smell the mild honey scent. The scent isn't overpowering at all, it is a sweet honey scent that I think most people will enjoy. The product can be used on hands, feet, elbows and any other dry skin areas. I mainly use this on my feet but it works just as well on other parts of the body. Once applied to this skin the product doesn't feel greasy at all but the skin feels instantly hydrated. I normally use this after my bath or shower at night and when I wake up in the morning my skin feel so smooth. My elbows can often feel dry and I applied a little of this during the day and I could feel a huge difference after applying and again no greasy feeling at all. You don't need to use a lot of product either so I can see this jar lasting me well through the colder months. I'm so glad I decided to give this a try because it has definitely become my favourite foot cream and balm for dry skin. 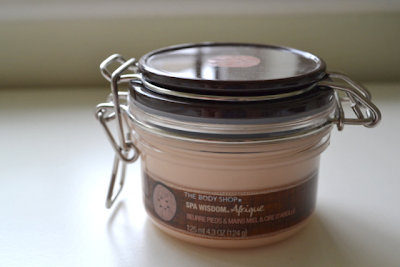 The Body Shop African Honey & Beeswax Hand and Foot Cream retails for £10.00/125ml. What is your favourite product for dry skin?